An Aston Martin is the most British of High Performance Super Cars. Its name evokes thoughts of James Bond, Vodka Martinis, 5 Star hotels, Casino nights. Our Aston Martin rental service in Marbella lets you live this dream. With a personalised service that is second to none and delivery and retrieval from the location of your choice, you are left with only one concern, to fully enjoy what is one of the true all time classics. An Aston is special and every one is unique, hand craft and built to order. 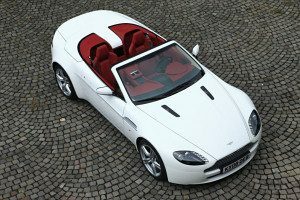 The Aston Martin DB9 Volante is a masterpiece of engineering. A 5.9 litre V12, 0-100 Kmh in 4.7 seconds and a top speed of over 300 Kmh say it all. All of this in one of the most beautifully designed sports cars ever made. In its convertible form it is magnificent. As all great sports classics Aston Martin has a long and proud history. 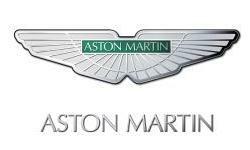 Aston Martin was founded in 1913 by Lionel Martin and Robert Bamford; however the name Aston comes from the hill climb races on Aston hill in which Lionel Martin competed in. In 1964 the Aston Martin DB3 featured as the James Bond’s car in the legendary film Goldfinger and the association between Bond and Aston Martin has continued ever since. Aston Martin’s are at home in Marbella. From cruising around Puerto Banus with the top down to opening up 450 Bhp of V12 on the motorway to Malaga the car is in its element. And so is the driver, as let us not forget that the Aston Martin is above all a driver’s car. Driving an Aston Martin is a dream to be experienced. 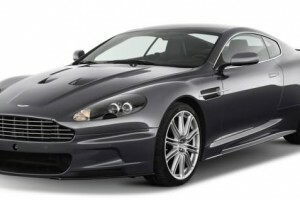 With our Aston Martin rental service in Marbella this dream can be lived.